Prince Harry and American actress Meghan Markle engaged to be maried in Spring 2018. Prince Harry and ‘Suits’ actress Meghan Markle have finally put all the rumors to rest as the couple are engaged now. 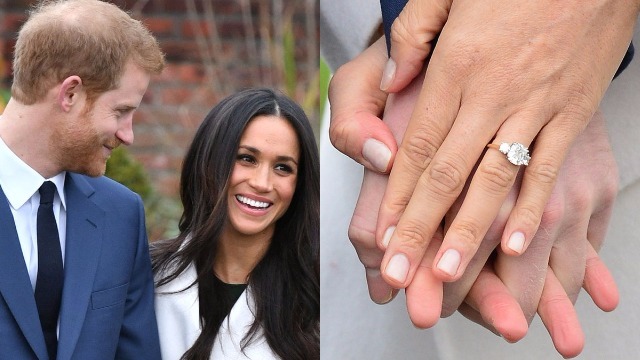 Prince Harry, a grandson of Queen Elizabeth II and fifth in line to the throne, got engaged to his long time American girlfriend Meghan Markle on Monday, Nov 27. Prince Harry had proposed his lady love Meghan Markle earlier this month and the engagement news was announced on Monday morning, 27 Nov. The pair have dated for more than a year, and made their first hand-in-hand official outing in the month of September in Toronto at the Invictus Games, a Paralympic-style competition. 36-year-old Ms. Meghan Markle is divorcee and 3-years older than Prince Harry, 33. This is what the British monarchy making it different from all the past weddings. Meghan Markle with Hollywood career and African-American family background got engaged to Prince Harry and soon she will be a senior family member of Royal British family. 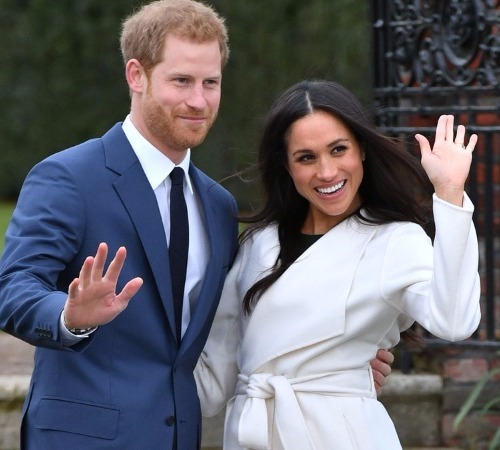 The new generation of royal family is moving on with the times setting new standards for the society with trying to get connected with the public. The Queen, who have maintained the traditional way of monarchy, has started to accept the modern changes. According to the British news media, “Prince Harry and Ms. Markle are expected to be known as the duke and duchess of Sussex after they are married”. Post engagement, Prince Harry and Meghan Markle in the afternoon visited Kensington Palace’s Sunken Garden for a photocall to mark the happy news. Meghan Markle flaunted her very special engagement ring. 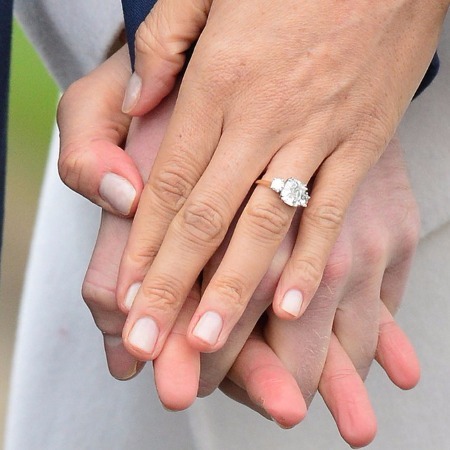 Prince Harry designed Meghan Markel’s engagement ring, using two diamonds belonging to his late mother, Princess Diana. Experts estimates the cost of engagement ring to be $350,000. Meghan Markle’s parents Mr. Thomas Markle and Doria Ragland wished the couple a life time of happiness. Following the news of Prince Harry and Suits Meghan Markle engagement, the congratulatory wishes started outpouring on social media twitter. Suits co-star Patrick Adams wishes his on-screen partner Meghan Markle on twitter. Congratulations Prince Harry and Meghan Markle! ???❤️?? Priyanka Chopra is a good friend of Meghan Markle since last three years. The actress had once slammed Wendy Williams on her show reminding her that Meghan Markle is not just GF of Prince Harry but a good actress too. Congratulations to my girl @meghanmarkle and Prince Harry!! I’m so happy for you Meg! You deserve the best always..keep smiling that infectious smile. Xoxo ??❤️? The nuptials will follow in spring 2018. Dates are yet to be announced for the engaged couple to be married.